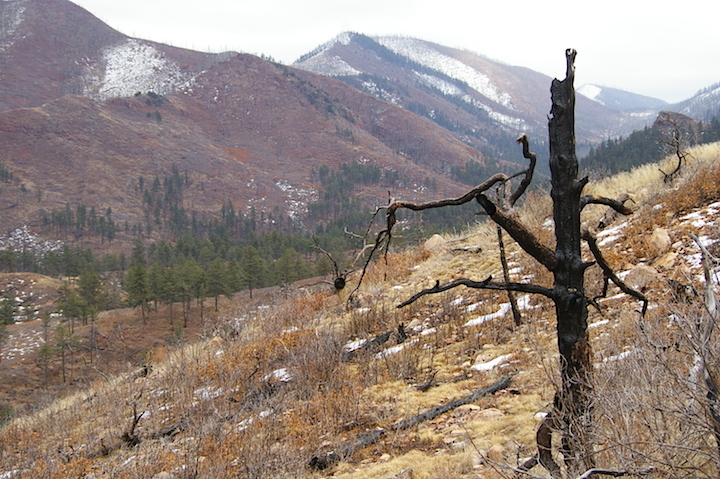 Part of the Mason Gulch burn, ten years after. M. and I were both feeling housebound yesterday, so we went for a walk up on the Mason Gulch Burn ( from the July 2005 fire — related blog posts here). I wanted to see if there was a noticeable game trail in a certain area, and I found it, but it was faint and intermittent. Still, it gave me a new clue as to how elk in particular might move through that country — worth remembering and revisiting. The woods were quiet. No one down on the road. Some sports thing going on, apparently. Labels: fire, Mason Gulch, Wet Mtns.